Clark Seif Clark provides industrial hygiene and environmental testing and consulting services to identify and mitigate occupational hazards. CSC supports the efforts of OSHA and other agencies and organizations that are promoting Safe + Sound Week to increase awareness of the need to safeguard employees from occupational hazards. Next week, Safe + Sound Week is observed across the United States. The event is described by the Occupational Safety and Health Administration (OSHA) as a nationwide event to raise awareness and understanding of the value of safety and health programs that include management leadership, worker participation, and a systematic approach to finding and fixing hazards in workplaces. The theme for this year’s week of recognition is Show Your Commitment to Safety. Occupational safety and health programs continue to be critically important and the numbers speak for themselves. Although the U.S. Bureau of Labor Statistics (BLS) reports that the rate of worker deaths and reported injuries in the United States has decreased by more than 60% in the past four decades since the Occupational Safety and Health (OSH) Act was passed, more than 4,500 workers are still killed on the job each year. Sadly, another 4.1 million suffer a serious job-related injury or illness according to BLS figures. 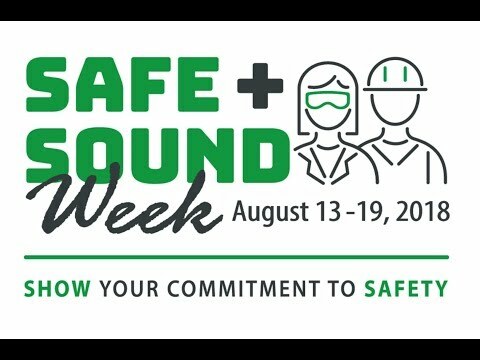 CSC supports the efforts of OSHA and other agencies and organizations that are promoting Safe + Sound Week to increase awareness of the need to safeguard employees from occupational hazards. Working diligently to achieve these goals are the industrial hygiene and environmental experts at CSC who offer testing and consulting services to identify and mitigate potential chemical and biological hazards in addition to employee training, respirator fit testing and other personal protective equipment services. To learn more about this or other industrial hygiene, building science, indoor air quality, environmental, health, and safety testing and consulting services, please visit www.csceng.com, email csc@csceng.com or call (800) 807-1118.